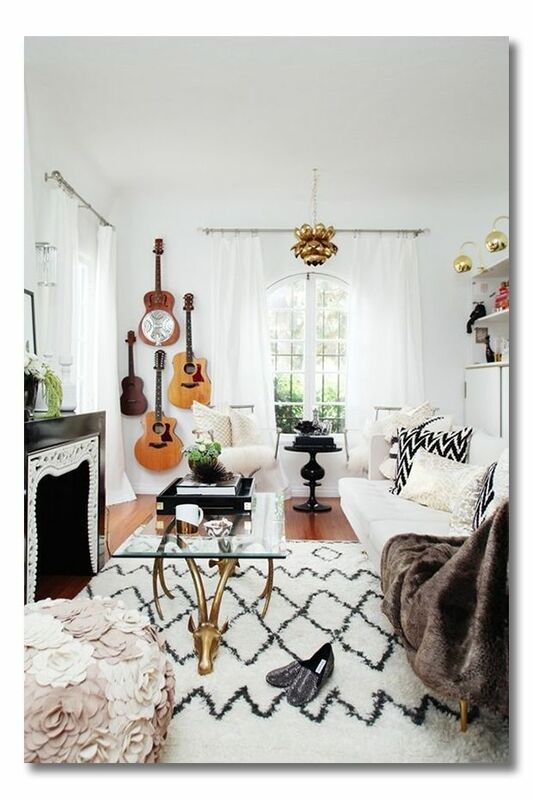 10 Ideas for Wall Decor, that’s not a Framed Picture!! I consider myself to be a visual person, I am drawn to colour and pattern. So I have a real problem with large expanses of bare walls in a home, it may suit some, but for me I like visual stimulation. I would never cut it as a minimalist. 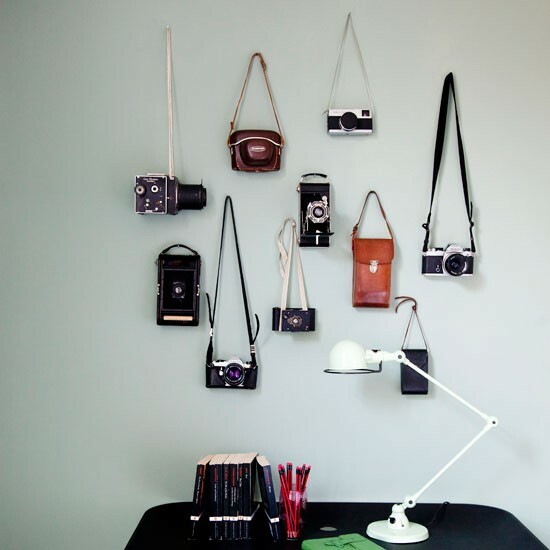 Walls are a perfect spot for showcasing things you love and that does not necessarily mean framed art or photographs. 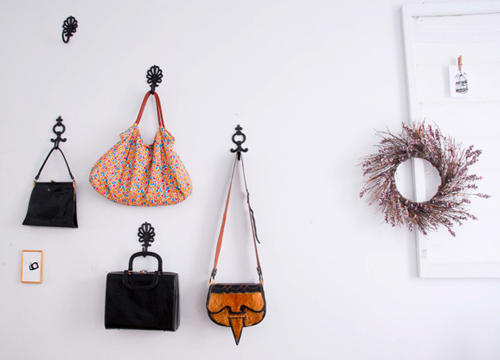 Hanging items, other then art and pictures is a good way to add interest to a wall (especially a gallery wall) and in some cases can be a real conversation starter. 1. 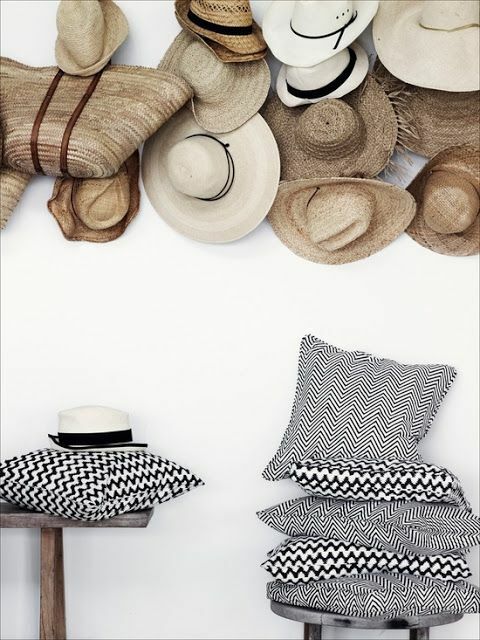 Hang your hats, decorative and practical. Image Source Plateful of Love. 3. Hey! why not a bag or two instead? Image Source: Homey Oh My! The good thing about these ideas is that you don’t have to rush out and start a collection, even if you have just one favourite plate or vintage item you can still hang it along with your framed art or photographs. 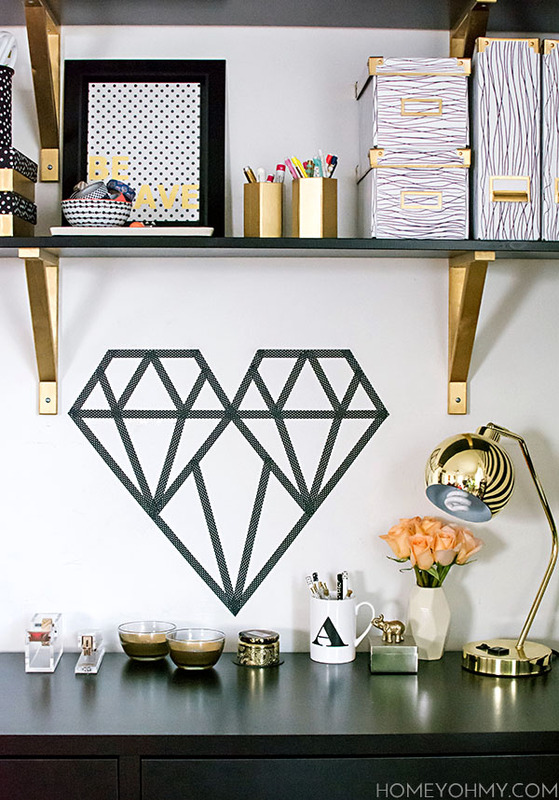 You will be amazed how one item can add interest to a wall. ‹ PreviousZara Home lands in Sydney. Love the wall of baskets and the feather sculpture! 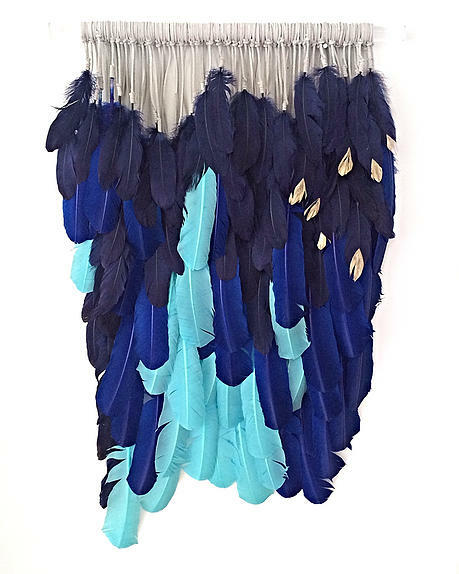 I am absolutely in love with those feathers Whitney. Did you check out the other work by Kristen. So beautiful!! !